Patriot is excited to join forces with one of the world’s largest esports producers. Patriot, a leading manufacturer of computer memory, SSDs, PC gaming peripherals, flash storage solutions and mobile accessories, today announced its sponsorship of ESL Brazil Premier League. 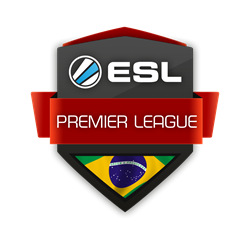 As one of the first major sponsors of ESL Brazil Premier League, Patriot is dedicated to the elevation and increased awareness of professional PC Gaming in Brazil.